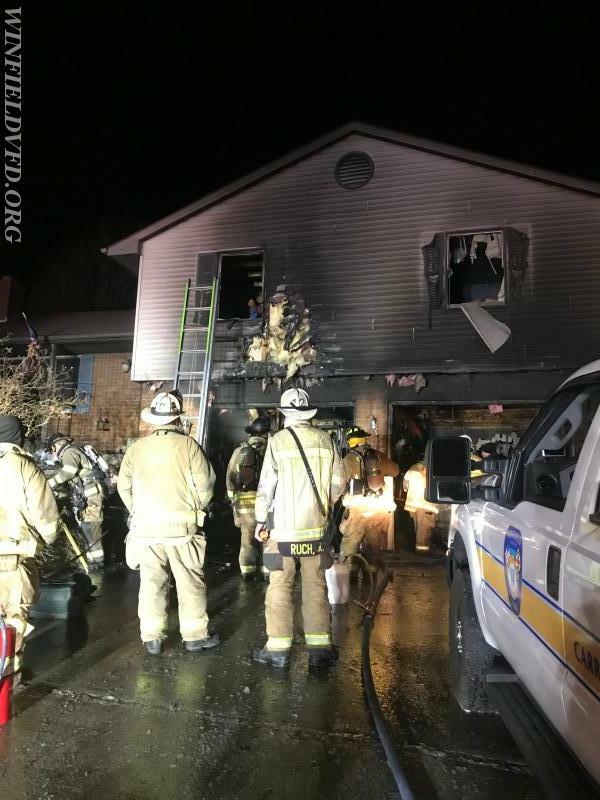 At 12:28 AM on March 9th, Box Alarm 14-03 was sounded for the House Fire in the 2200 Block of Dulany Terrace, alerting units from Winfield, New Windsor, Mount Airy, Sykesville, and Lisbon to the scene. 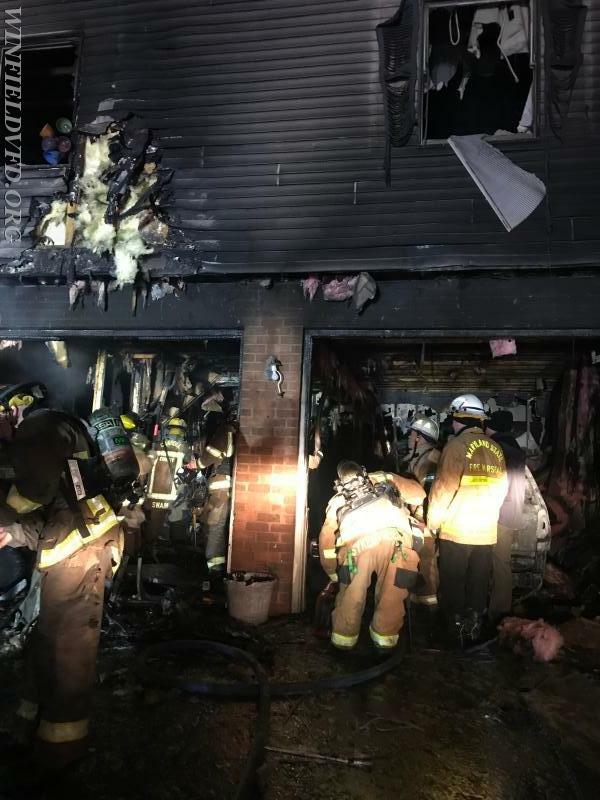 While units were responding Carroll County 911 Center advised that there was a unit from the Carroll County Sheriffs office on the scene advising of a working fire in the attached garage of the home. With that information Chief 1-2 from Mount Airy requested the Rapid Intervention Dispatch and Engine 141 requested the Tanker Task Force. 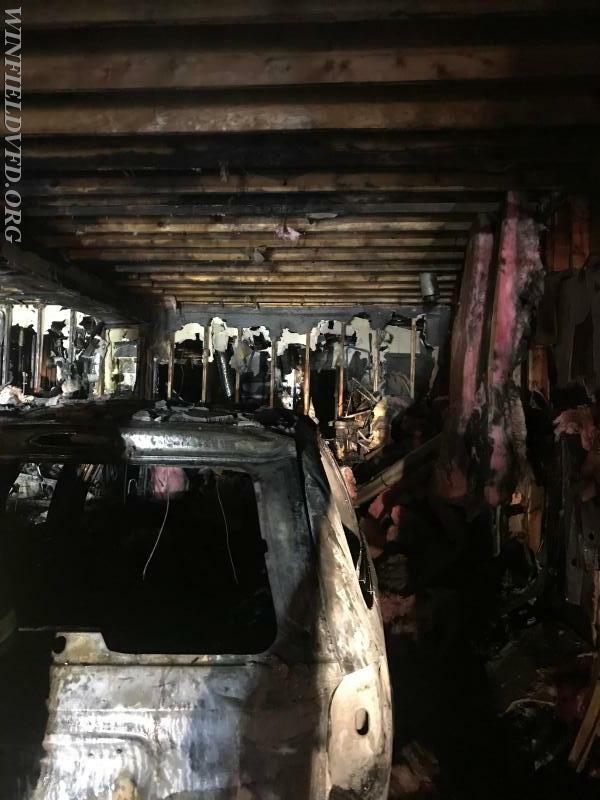 Engine 141 was the first arriving fire department unit on scene with fire showing throughout the attached garage of a split level home. Crews deployed several hose lines to attack the fire in the garage as well as the fire that had extended into the living area of the home. Crews also battled a running fuel fire from the gas tank of the car that was in the garage at the time of the fire. It took approximately 30 minutes to bring the fire under control. The occupants of the home were asleep at the time of the fire and were alerted by smoke detectors and were able to escape. No injuries were reported and crews operated on location for approximately 3 hours before returning to service. The cause of the fire is currently under investigation by the Maryland State Fire Marshals Office.